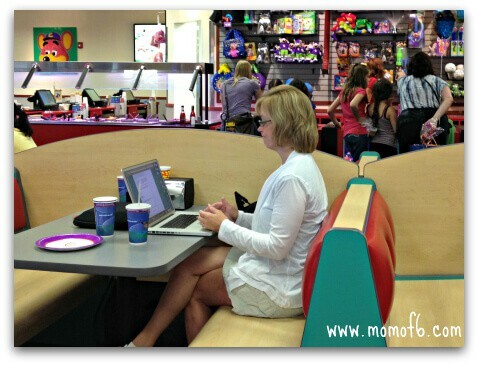 5 Tips for Moms on Surviving a Visit to Chuck E Cheese! 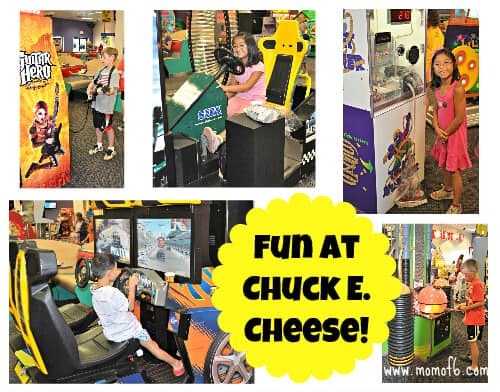 Chuck E Cheese can be a fun place to visit…. for the kids! 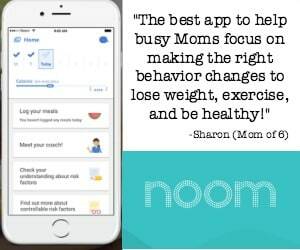 But for Moms…. it can be a bit of a challenge. All of those games beeping and buzzing and kids hopped up on pizza and soda running around feeding tokens into machines to win massive piles of tickets, all in an effort to win some (cheap) prizes? It's almost like heading to the town carnival all over again- minus the fried dough and midway rides. 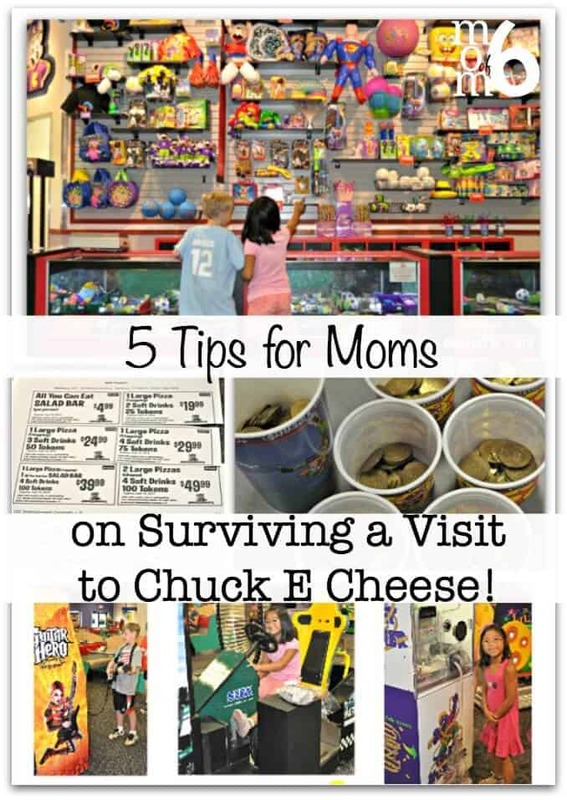 But let me just say- that when you are running your own summer camp at home, the day will come when you'll decide to treat your kiddos to an afternoon at this local house-of-mouse, and you'll be glad that I shared these 5 Tips for Moms on Surviving a Visit to Chuck E. Cheese! Tip #1- NEVER go on a rainy day! Tip #2- Look for coupons before you go! It should come as no surprise that spending the afternoon eating quality food (who am I kidding…. I LOVE their pizza!) and playing video games will cost you a pretty penny if you aren't careful. So before you pile the kids into the car, take a moment to check out the coupons on Chuck E. Cheese's website. 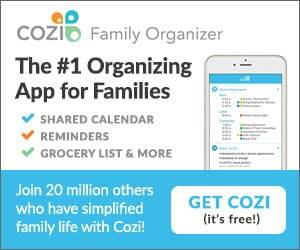 And if you sign up for their mailing list, they will automatically send you coupons every few months or so. Also make sure to be on the lookout for coupons in kids DVDs when you purchase them. (This is actually where we find our BEST Chuck E. Cheese coupons)! 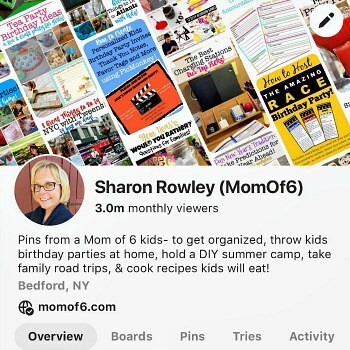 Tip #3- Hand out the tokens…. S-L-O-W-L-Y! When you first walk in the door, and get your hands stamped (I love, love, love how they take kid safety seriously at Chuck E. Cheese!) immediately get in line to order your pizza, drinks, and your tokens. As a guideline, our family of 6 kids burns through about 300 tokens during a visit. 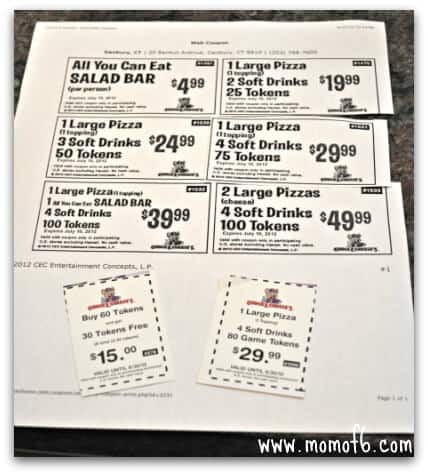 But since I always use coupons that include tokens and a meal….. I usually am getting them at a discount. 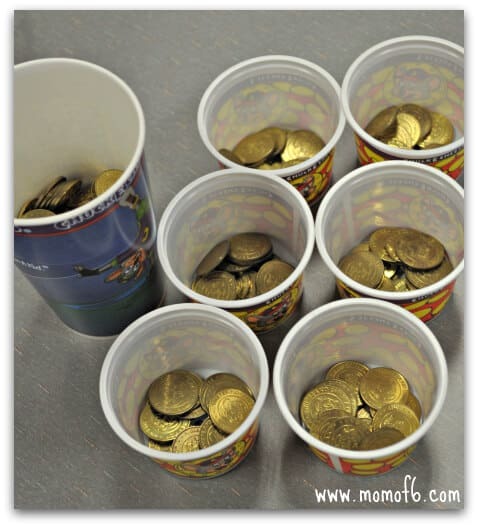 Now, take all of those tokens, and put them in a giant drink cup (the servers at the front are usually happy to give you an extra one), and then use the small plastic cups to divvy up small amounts of the coins at a time. Then as the kids play- they can come to you and you can dole out a few more at a time. Why do I do it this way? Well, you might think that it would be fair to give everyone an equal amount of tokens to play with…. but the problem is, that some kids will burn through them at twice the rate of the others…. and unless you want a bunch of sad-faced kids following around the little brother with a big pile of tokens who only plays 2 games an hour…. then dole them out as they need them. You'll thank me for this later! Tip #4- Be the keeper of all of the winnings! Tip #5- Stay away from the prize desk! 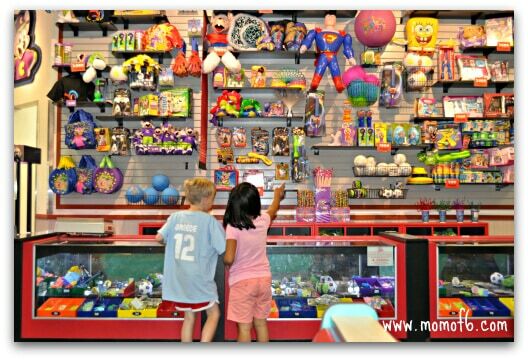 I've learned this lesson over the years… if they are old enough to play the games, they are old enough to pick their own junk, um- I mean prizes. They do not need Mom to micro-manage this process! They actually do a much better job of working together, and pooling their tickets, when I am not hovering over them begging them to hurry up and make a decision already! 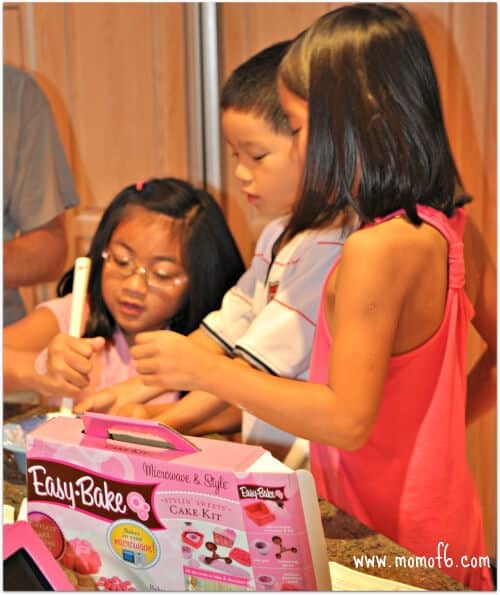 And if you are lucky, they will select a cool prize like this Easy bake microwave oven kit that they can come home and make later on the afternoon… stretching their fun a bit longer! So do YOU have any tips to add on how to survive a visit to Chuck E. Cheese? I would love to hear them! This has been SOO helpful! I have been trying to avoid going to Chuck E Cheese for a while, but my children keep insisting on going. 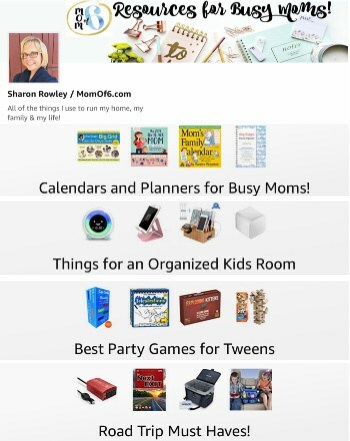 I will make sure to follow these tips when I take my kids in the future. I will make sure to take my laptop to finish doing my work while the kids play. Bringing the laptop with you is genius!! And….you are SO brave going to Chuck E’ Cheese…I’m avoiding for as long as possible…. Multi-tasking at its finest baby! Brave or foolish…..? Go on Mother’s Day if you need to go. It’s absolutely empty inside. Thanks for the tip Rae! I will make sure to take them then. Nothing better than having some alone time to finish doing my work without my kids bugging me all the time.